This is why I always advise clients to brag about their accomplishments. Tell the reporter everything that is great about your product. Don’t worry – it doesn’t sound like bragging. The reporter will know this is a part of your story. And here’s the best part. When your story is published, you won’t sound like a bragger. The reporter – or media outlet – will be the platform communicating your message. 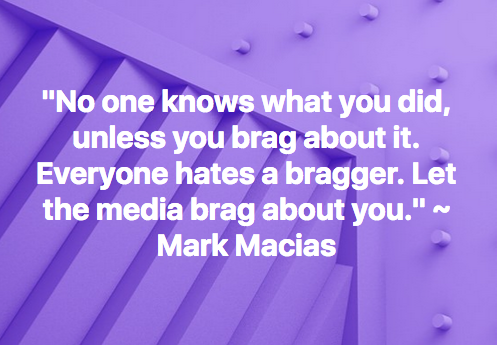 That means you get to brag without being the bragger.